Taittinger’s 2004 Comtes de Champagne was fabulous from the very first time I tasted it during dosage trials. Today, a few years after its initial release, the 2004 is a poignant reminder of how sensational the 2004 vintage is in the Côte des Blancs. 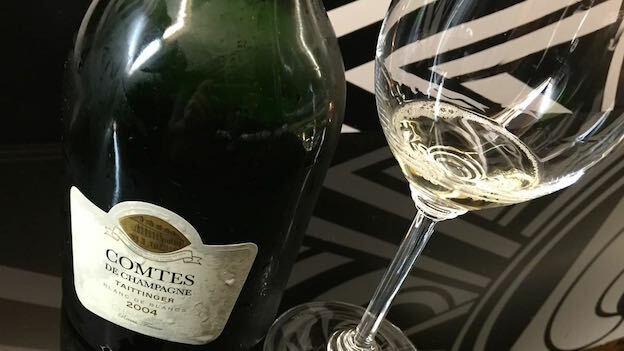 A wine of cool, steely reserve, the 2004 Comtes de Champagne bristles with salivating energy. Citrus, white flowers, slate and mineral notes all grace the palate, but it is the wine’s crystalline freshness and tension that stand out above all else. The 2004 has not budged much since it was first released. It remains pointed, tightly wound and built for cellaring. I have said it before, but I will say it again. Comtes de Champagne routinely delivers the highest level of quality for the money in tête de cuvée Champagne. 97/Drink: 2016-2044.